How is it possible to clean and dry my carpet in just one hour? The short answer is that Heaven's Best utilizes what's known as the Low Moisture cleaning method for carpet, a remarkably effective and convenient process. It begins with vacuuming the entire area, an essential (though often overlooked) first step that ensures all the loose dirt and soil is done away with. Taking care to start the process this way also allows the low moisture cleaning method to reach its full, deep cleaning potential. Next, we apply our signature cleaning solution, a citrus-based mixture that's safe for both pets and people. This has the effect of breaking down any dirt, soil, crumbs, or discoloration so that the Heaven's Crew is then able to pick it up from deep within the fibers using our powerful cleaning equipment (for areas in need of special attention, our team applies an impressive pre-spotter treatment beforehand). The following step entails buffing with the powerful Heaven's Best buffer and specially designed absorbent pads (or bonnets) underneath. The equipment succeeds in gently lifting away soil and moisture. The finishing touch calls for the Heaven's Best carpet rake. By simply raking the carpet, we're able to get the fibers to stand up, lending a “brand new” look to your carpet and allowing it to dry faster as well. How long will it take for my carpet to dry? Our unique "dry in one hour" process yields exceptional results, which greatly reduces typical drying times. With Heaven's Best, your carpet won't take hours or even days to dry ... it'll be dry in one hour. How does steamed carpet cleaning differ from Low Moisture cleaning? Take it from a company who knows: steam cleaning, or hot water extraction, is an effective process. The trouble with steam cleaning is the large quantity of water that's used. Too much water can compromise the carpet's backing, causing dirt and stains to “re-wick” in the process. The term “re-wick” refers a stain's tendency to resurface after it was seemingly removed. As you can imagine, this can be particularly aggravating for folks who spend hard earned money in order to protect their carpets. In addition to that, steam cleaned carpets take from six to eight hours to properly dry. Done incorrectly, as sometimes happen, it can end up taking as many as 48 hours to dry (most common in cases when the carpet cleaning technician makes the mistake of using too much moisture). 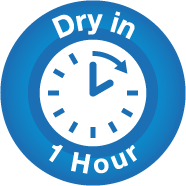 On the other hand, our LMCCA (Low Moisture Carpet Cleaning Association) approved method assures your carpet is dry in one hour's time. Most importantly, your carpets will be cleaner than any other service could make them. How often should I have my carpets cleaned? Regularity might depend on your own individual circumstances, but a good rule of thumb is to have your carpet professionally cleaned every six months or, in low traffic areas, every year. Think of it this way: unchecked, dirt and soil do a lot to shorten the life of your floors, carpet, and furniture. Dirt may seem harmless enough, but it's actually quite harsh. Left unattended, dirt grinds its way into the deepest fibers and can result in permanent damage. The good news is, committing to a regular routine of vacuuming several times a week can reduce the need for frequent cleanings and extend the life of your floors, carpets, and furniture. Are your products safe for children and pets? Good question. Yes! But unlike other comparable products that are safe for children and pets, the Heaven's Best citrus-based cleaning solutions gets rid of every single last bit of dirt, soil, and discoloration in its path. Our solution offers the best of both worlds. While sanitizing, disinfecting, and cleaning, Heaven's Best products are also safe for pets and children. How do I go about getting an estimate? Are estimates free? Yes, estimates are free. Residential customers should feel free to call us at (303) 258-3681 or request a free estimate online. When you do, rest assured, there's no need to worry—an accurate summary of your needs and the size of your home will yield an accurate estimate, every time! If you'd rather, a Heaven's Best professional can always come to your home and provide you with an exact written estimate. The choice is yours entirely!